While the 9/20 video has circulated among fans almost since the day it was recorded, a number of factors have conspired to undermine its quality. First, there’s the inherent problem of analog video, which loses quality with each successive generation. The master tapes for the Capitol Theater were supposedly recorded on a 3/4-inch, U-matic tape format, good for its time, but mediocre compared to the formats that followed. Then there’s the camera problem. 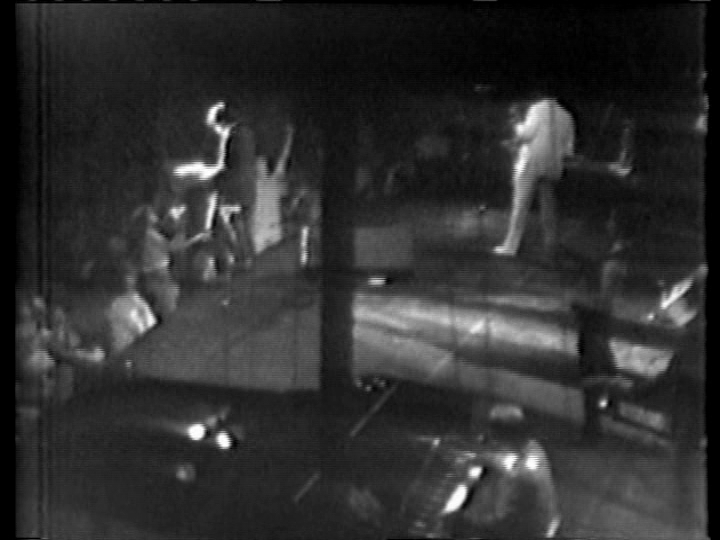 The cameras at Capitol Theatre employed auto-exposure control, and, as the veteran video technician who handled this transfer explains, “With those cameras, if the light got low, the cameras would automatically increase gain. But the gain would be the overall output, including blacks and sync. That’s why it gets washed out. The black level is increasing. Cameras today don’t do that.” If you saw the recent sample from this show posted by Wolfgang’s Vault, you saw the problem in spades. (And if you’re asking, who knows if WV’s promised future remastered version of the show will be an upgrade, but since it will only ever be available as a web stream it doesn’t really matter). Couple the camera issue with inferior consumer video tape formats and bad analog transfer chains, and it is no wonder that the best circulating copy (generally considered to be the MilesHai version) is awash in gray, with significant loss of detail, especially from the camera at the foot of the stage. At times, Bruce’s face is completely blown out. To the best of our knowledge, no circulating copy of the 9/20 video comes from a verified generation and this copy is no exception. However, there are two good reasons to believe this is the lowest-generation copy to be converted to DVD. First, the source is a production Beta tape acquired circa 1978-79. Second, an A-B comparison of the uncompressed transfer shows considerably more detail and contrast than previous versions. The result is a materially better picture. The auto-exposure effects can’t be fixed, but there is a very watchable result. Pete took the uncompressed transfer, and utilised Adobe Premiere’s Auto Color filter to reduce the impact of the auto-exposure effects. 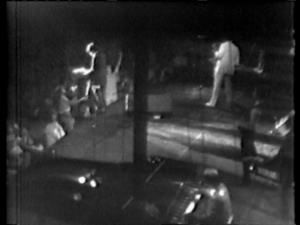 The result is a substantial improvement, particularly to that camera at the foot of the stage. The video was gently compressed to fit onto two DVDs (one DVD-9/dual layer and one standard DVD). But not before he painstakingly synced a brand new soundboard audio source to the video to improve both sound and picture. A couple of minor patches from the video soundtrack aside, the new audio is sourced from actual master reels recorded the night of the show. JEMS will release the audio in CD and hi-res versions in a matter of days (PLEASE DO NOT CAPTURE THE AUDIO HERE AND TORRENT IT), and we’ll tell more of the story then, but suffice it to see 9/20 has never sounded like this before. The Darkness tour may never have sounded this good before. The new audio source does offer some previously missing bits – “Thunder Road” is now complete, and while “Jungleland” and “Incident” are still cut on the video, the audio is complete and included here. 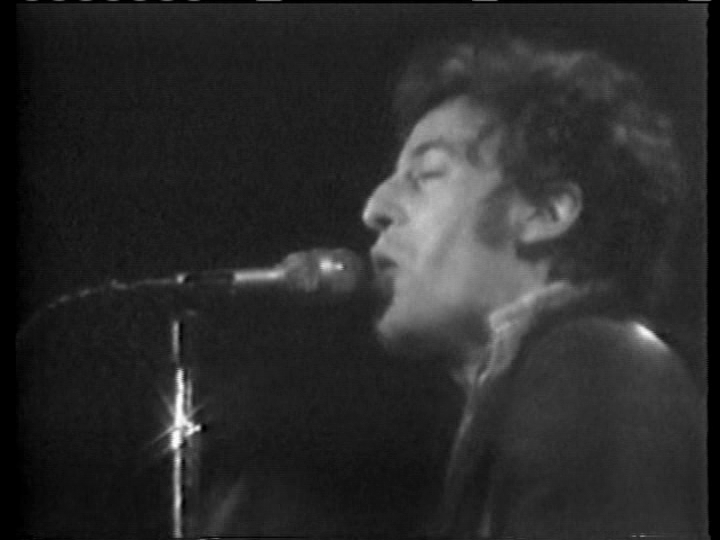 Two patches to the audio were required, the start of “Tenth Avenue Freeze-Out” and the end of “Twist And Shout”. Both utilise the original video audio. This project has been one of our most ambitious to date, from tracking down the new video and audio sources, to baking the reels, to getting a very old Beta tape to track properly, to hours upon hours of work syncing the audio by Pete (thanks for partnering on this sir; we couldn’t have done it without you). We hope you enjoy and appreciate the upgrade. Samples/screen grabs provided. 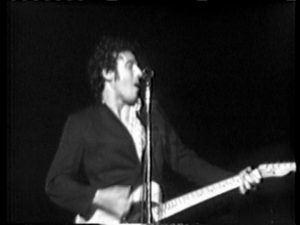 This entry was posted in 1978, bootleg, darkness on the edge of town, dvd, springsteen, video and tagged 1978, darkness on the edge of town, springsteen by Tsitalia. Bookmark the permalink.